Because of its ready availability, abundance, and commonness, we may not appreciate how valuable eggs are. They are nutritious, and no one can deny that. A large egg is about 70 calories and contains about 6 grams of protein. Six grams of high-quality protein. Yes, that’s right. 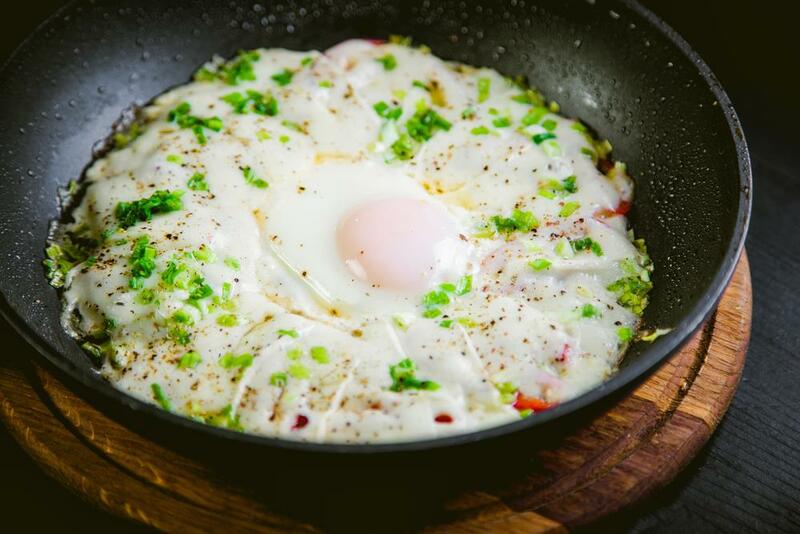 If you exercise, eggs should be an integral part of your diet! It helps you grow and regrow damaged muscles! A large egg has less than .5grams of carbohydrates. If you are cutting down your carbohydrate intake, an egg can give you a good amount of calories without giving you too many carbohydrates! This can help you manage your weight and still eat enough calories! 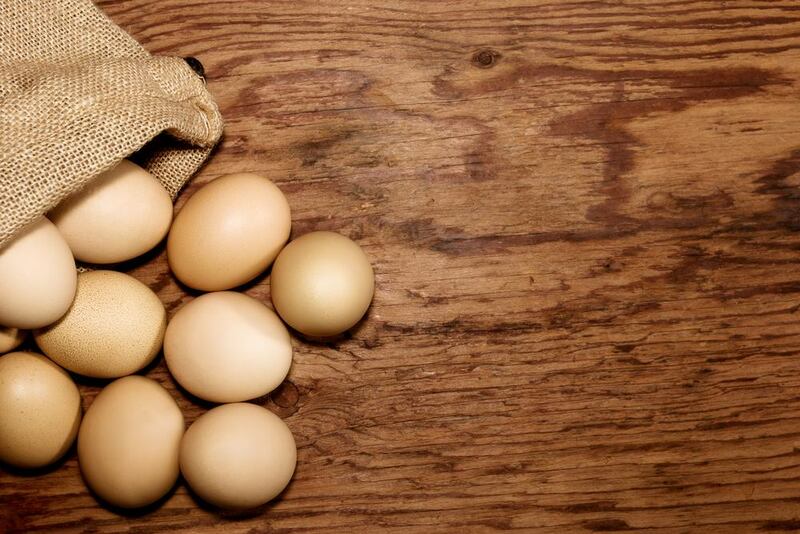 It was a popular misconception that eating too much egg can increase your blood cholesterol levels. Well, researches have been made, and none pointed to that direction. Now, let’s answer your questions! Yes, you can freeze scrambled eggs. Yep, it’s as easy as that. Will it have the same texture when reheated? The answer is no. Cooked food loses some of their moisture after the process of cooking. When you freeze cooked food, the remaining moisture expands like all fluids when frozen. Now, when you thaw them that moisture will leak. The freezing process has damaged the cell walls of the cooked food, and that moisture will not be retained the way it used to be when thawed. But there are some ways you can do to make them more palatable. 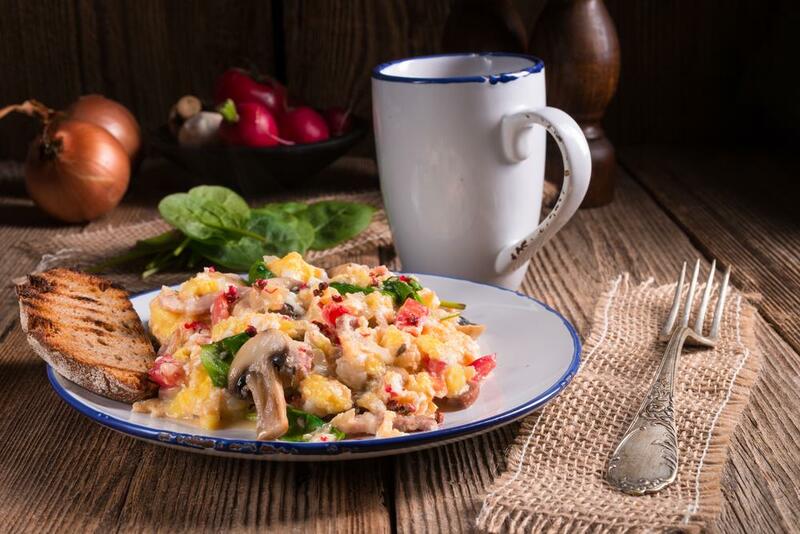 There are certain techniques that can help you end up thawed scrambled eggs with good quality! Of course, you would cook the eggs before you freeze it! But hey, here’s the thing, you can employ some tricks when cooking! Add a little more salt. When cooking your scrambled eggs, try adding a little more salt. Where there is salt, there is water. Salt naturally attracts moisture. Now, when you thaw your eggs, it will retain more moisture because of the salt. Undercook your eggs a bit. Another technique you can do to end up with a better texture when thawed is undercooking your scrambled eggs. 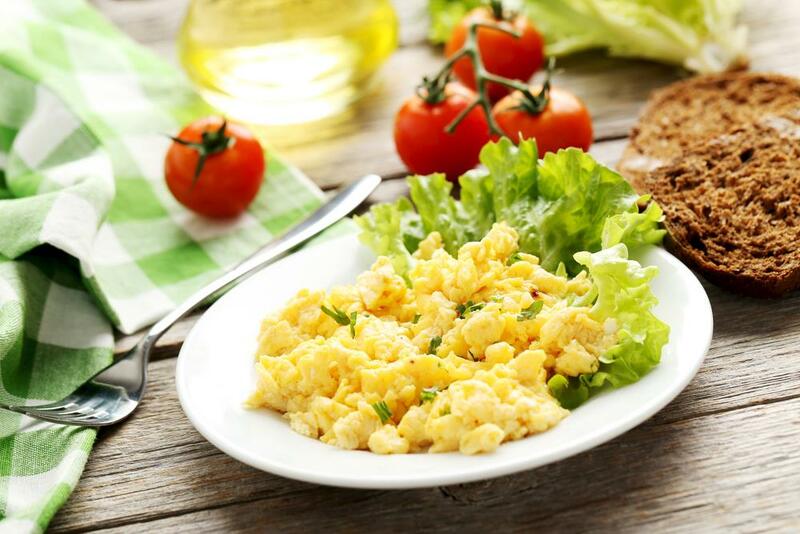 Store your scrambled eggs while they are still runny so that they still have more moisture in them. Now when you reheat them, you will end up with a well-cooked scrambled egg. When it comes to freezing, it can be as easy as sticking everything in the freezer or as detailed as packing them in individual servings. The simple answer on how to freeze scrambled egg is to stick it in the freezer. But here are some cool stuff you can do to make storing them more efficient. Let’s say one weekend you had the luxury of time and decided to cook a few dozen scrambled eggs. Here’ is what you can do when storing them. Store them on individual servings so that you will not need to thaw an entire batch for a few servings. This will preserve the integrity of the remaining scrambled eggs. 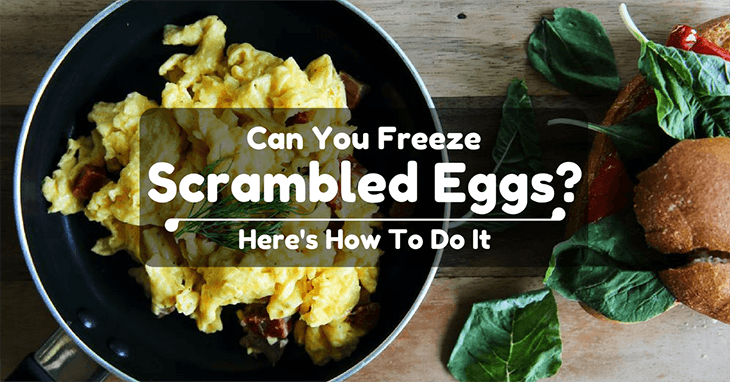 Exposing your scrambled eggs to the freezer atmosphere will result in freezer burn. Your eggs will lose moisture and will have a terrible texture when reheated. Storing them flat will not only preserve space in your freezer, but there is also one more thing that this trick gives you. You can lay the egg flat right on the pan when reheating them! They will be evenly heated, take less time to reheat, and get and even texture! Simply writing the date when you cooked scrambled eggs will prompt you to consume everything that is left and cook a new batch. This way you will not have to freeze the eggs for too long. The best way to thaw your frozen scrambled egg is taking it out of the freezer and leaving it inside the refrigerator overnight. The next morning, your eggs are thawed and ready to be reheated. Or you can simply cook them while frozen. 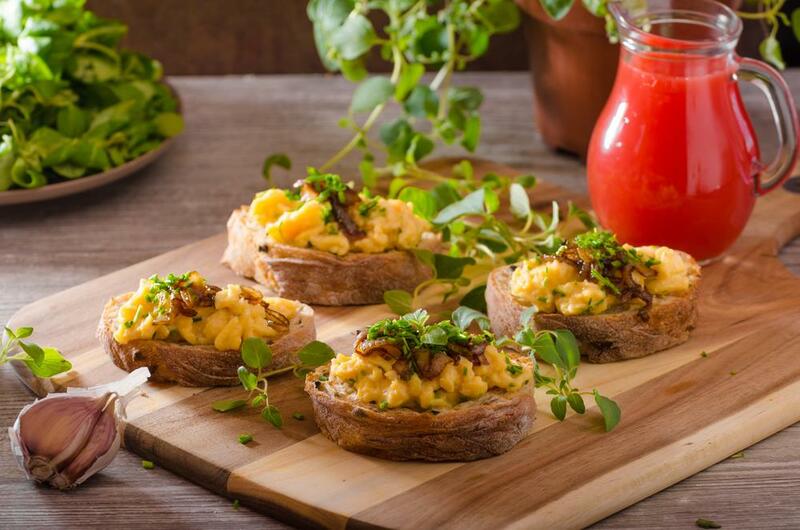 Reheating your scrambled eggs don’t need complicated sorcery. If you have thawed it overnight, you can microwave it at high setting for about two minutes. Or you can reheat them in a pan. If you have stored them flat like burger patties, you can reheat them even when they are frozen! Hey! Did you like reading this post? Have you found this article informative? Let me know what you think! Leave a comment below, and I will connect with you soon! Can You Make Meatloaf Without Eggs? Discover the Truth for The First Time!